Last week I revealed my first pick, the glorious boxed volume, ‘Manolo Blahnik, Fleeting Gestures and Obsessions’ (Rizzoli) a witty, frisky and fetishy and large-scale opus covering his forty-year shoe design career. 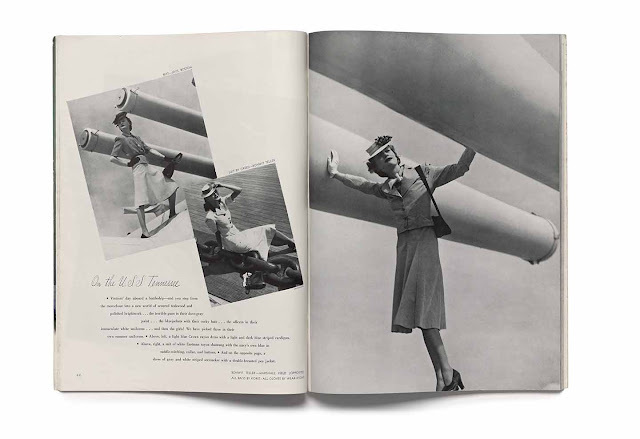 On the superbly art-directed pages he also illustrates his passion for Visconti, period films, Italy, Sicily, London, Spain, Goya, antiquity, eighties models, Cecil Beaton, Horst, and today’s top photographers. Archival photography (Beaton, Horst) is glorious. Blahnik created a superb book, ideal for gifting and keeping forever. This week, in Part Two, my list includes the dazzling Diana Vreeland’s new book (posthumous of course…) as well as a witty re-issue of my longtime favorite style manual and inspiration, Cheap Chic. 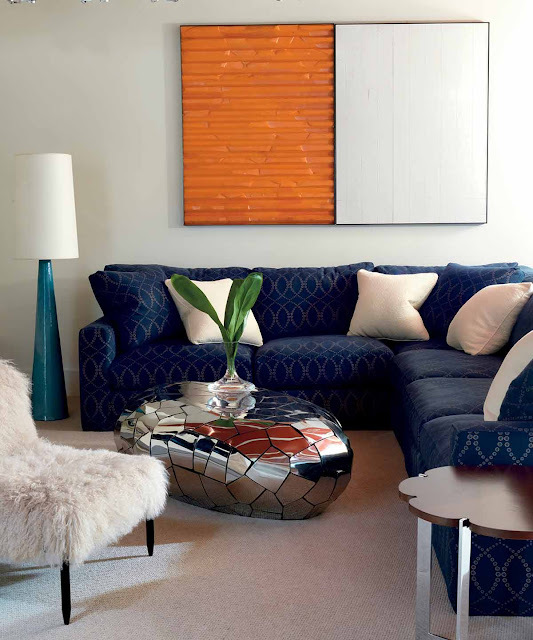 It was super-influential and insider-chic in the seventies. Great for today, too. 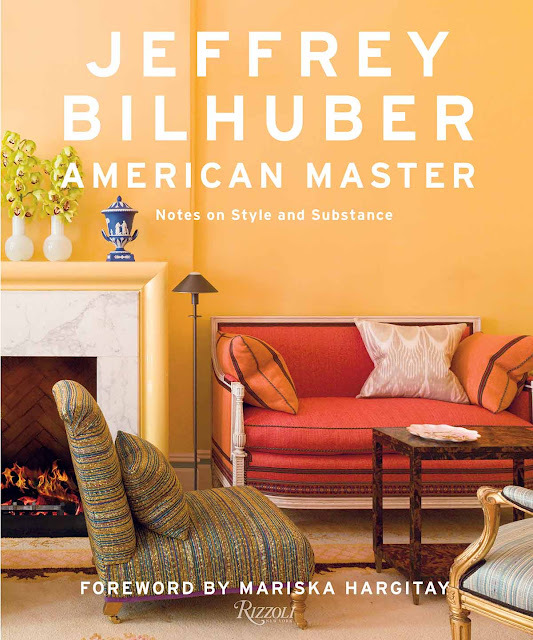 My super-list is enriched by Jeffrey Bilhuber’s colorful new book on his design (lots of tips). 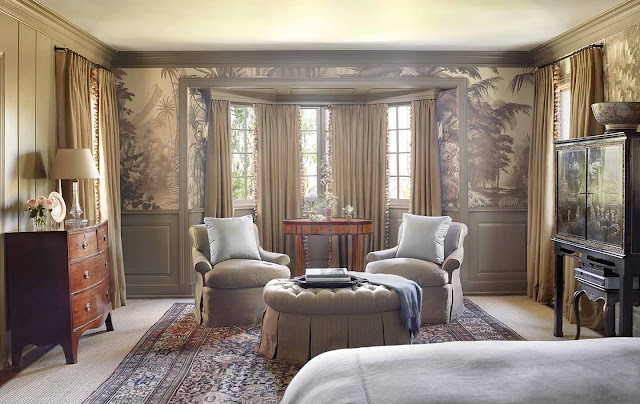 I admire the newest book by grande dame Suzanne Rheinstein—who is not only the top-of-the-top interior designer but also the most gracious and talented hostess. 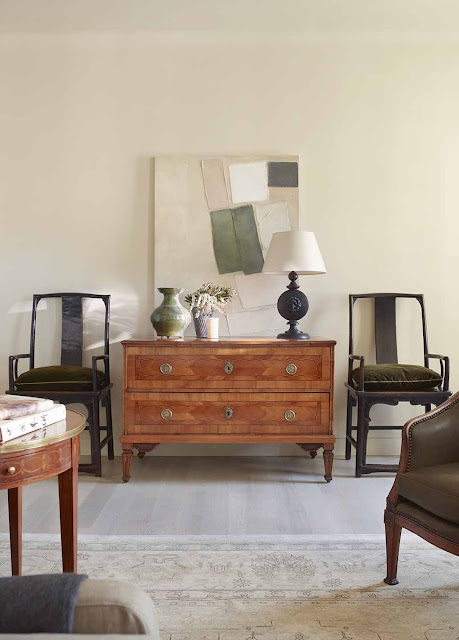 Come and see who’s best, which ones you’ll treasure, and which volumes will make the most covetable and collectible gifts for your design-loving friends. Style with substance is the key to each one. Part 3 of My Selection of the Best New Design and Style Books comes next week. See you there! 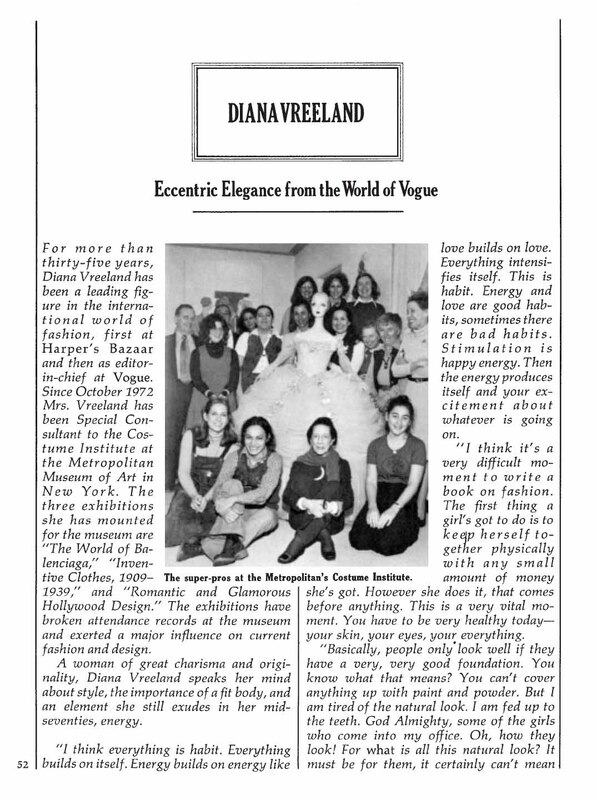 Diana Vreeland is, arguably, the most influential fashion editor of all time (with Ann Wintour nipping at her heels). 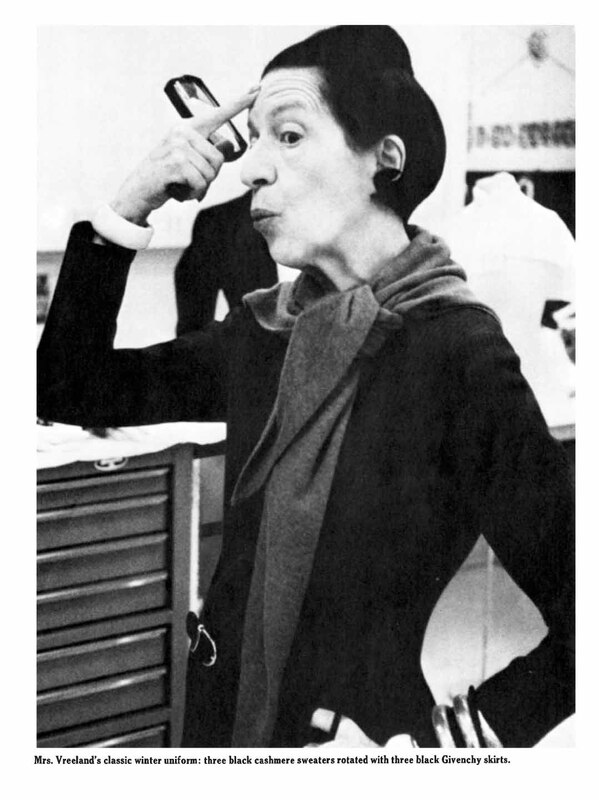 Vreeland spoke out about the modern woman, offered opinionated fashion advice, and, like Chanel, her ideas echo through the decades. 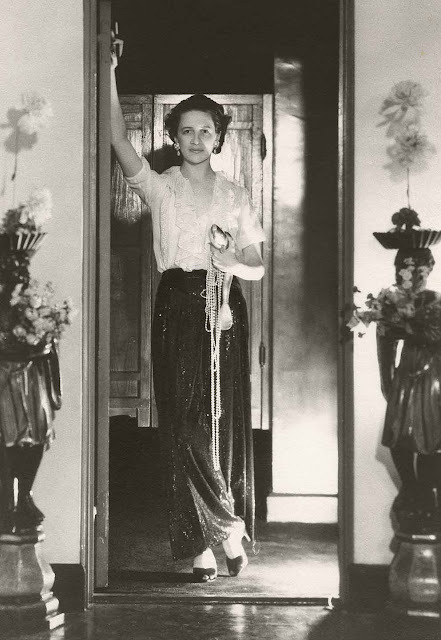 We all know her tip, ‘Just before you go out, take off one thing’ (a cure for over-accessorizing), and her other deathless phrases, ‘Style is consistency’ and ‘Bad taste has energy and delight. It’s no taste I’m against’. 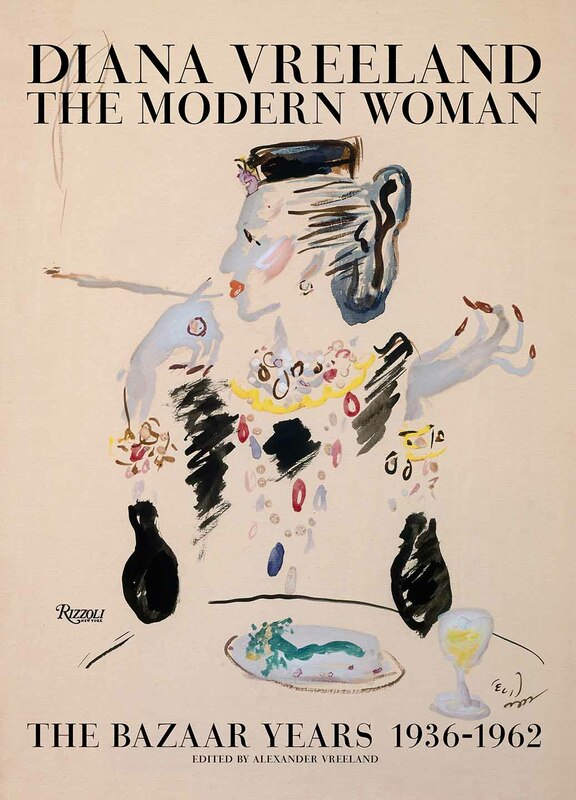 The cover of Diana Vreeland The Modern Woman The Bazaar Years 1936—1962 (Rizzoli) is a portrait of Vreeland sketched with humor by Cecile Beaton. It’s worth a buying trip to your local bookshop for that reason. 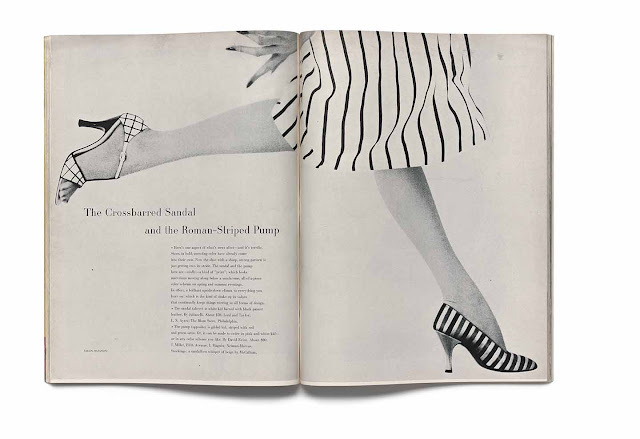 When I first started leafing through this Vreeland book, I discovered that the book is a compilation of Bazaar graphic layouts…many of them designed by Alexey Brodovitch. Brilliant. But read and savor them slowly. Take in the texts. 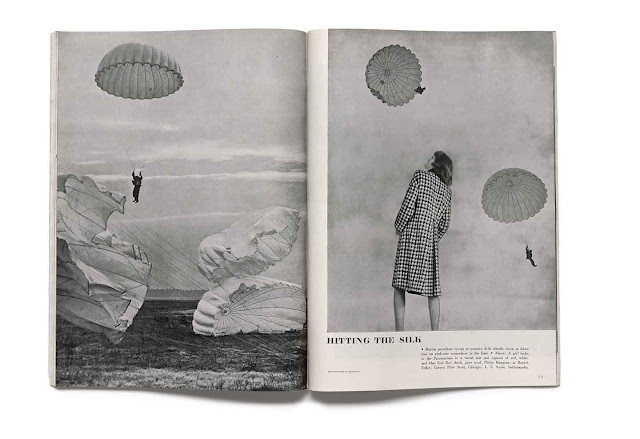 The pages were selected by Alexander Vreeland…and all of our favorites are there, including graphic covers, and iconic images of Audrey Hepburn, Jean Shrimpton, Sophia Loren. There’s an essay on ‘antiambition’, and writing on the luminous light of Paris evenings, one on yoga, a piece on plastic surgery, very wise, and others that echo with inspiration today. This voice from decades past is insistent, quiet and reassuring reading. Style is style. Elegance is elegance, timeless and true. Style endures. The gaudy and arresting orange and purple cover is by the great Bea Feitler. I love this fortieth edition of Cheap Chic one of the great style books. Like the original it is in black and white—and that’s perfect for the series of witty and bright and original ideas that poured forth from authors Carol Troy and Caterine Milinaire. I discovered it at a sidewalk sale in SoHo. 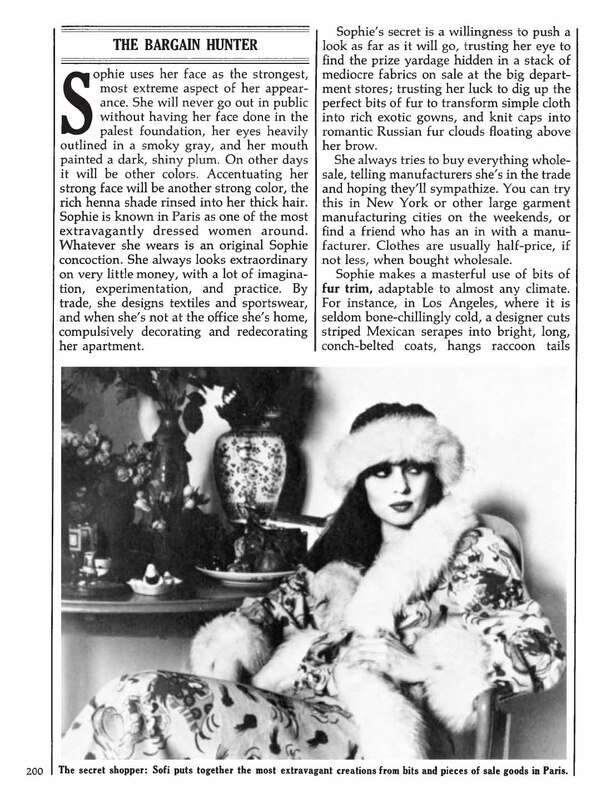 Cheap Chic became a style bible for women looking for individual style, original ways of day-dressing, and penny-conscious style tips from Cher, Antonio, Helmut Newton, and bright young New York designers, art directors and photographers. Published in 1975, it has now been re-issued, precisely reprinted by Three Rivers Press. 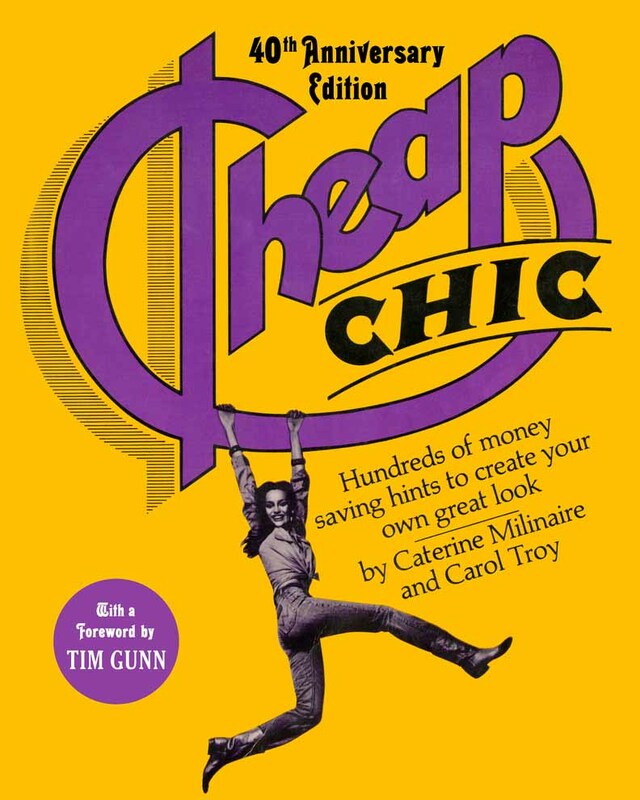 Cheap Chic by Carol Troy and Caterine Milinaire and their friends is a must for fashion designers, style historians, fashion students, designers, photographers and style seekers. 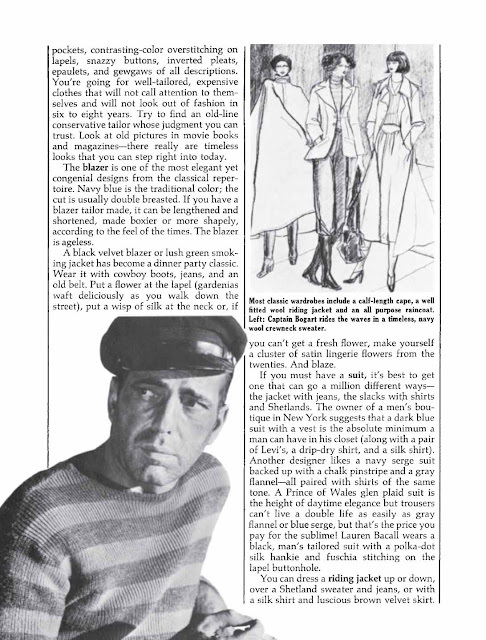 On its pages now-common ideas like ‘cost per wear’, and ‘army surplus’ and ‘ethnic costume’ and ‘self-expression in fashion’ and ‘style for pennies’ and ‘androgynous fashion’ and ‘cowboy gear’ were first hoisted into fashion parlance. 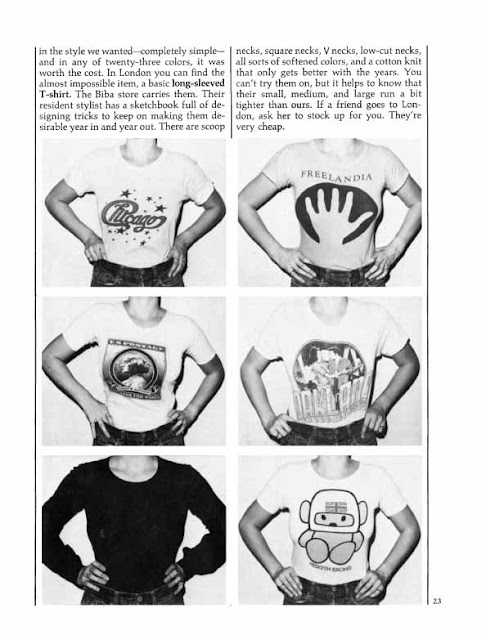 Think ‘street wear’—they introduced it. Think vintage…they wrote about it forty years ago. 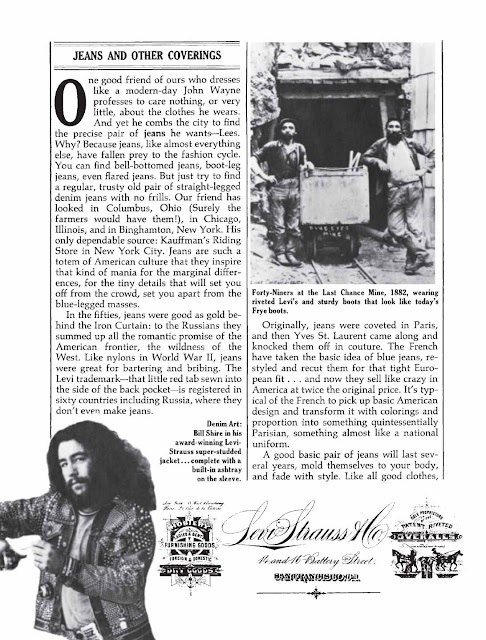 I went down to Port-au-Prince Haiti to do a design and style piece with Caterine, around 1973. So when Bruce Harris at Crown Books/Harmony wanted a counterculture look at style (post-hippy) both Cat and I were naturals. Cheap Chic got the hi-low mix perfectly, the essence of how we all dress today — the emphasis on quality and designer pieces you adore — individuality and comfort — mixed with exciting discoveries from the "global village". It was about treasuring precious fabrics and couture construction, good leathers, luscious boots, and unique items you've hunted down yourself — perhaps in Burma? Jerry Hall, Mick Jagger's ex- is on the cover, shot by the late Bill King, a discovery of Bea Feitler's for Harpers Bazaar, with Helmut Newton's pictures, Antonio's illustrations. And as I noted, style is consistency. It is also longevity. Really. 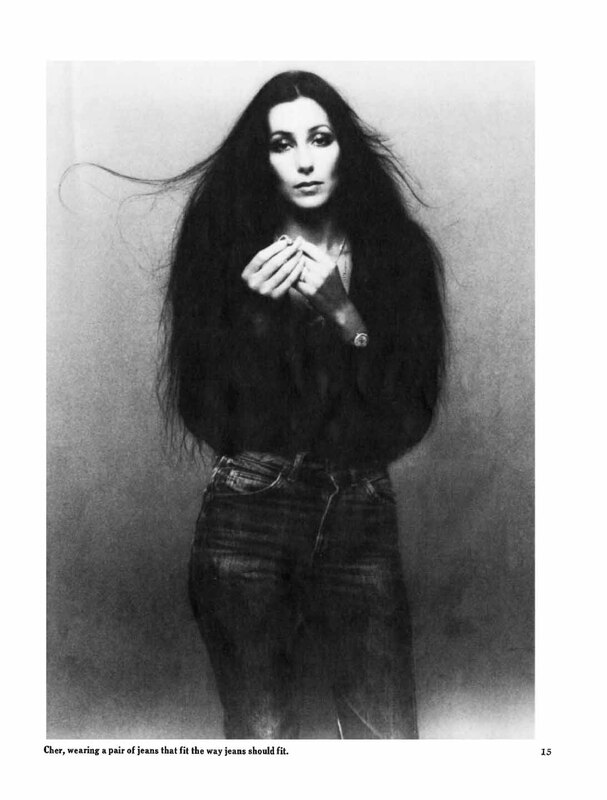 Lots of significant style people from the seventies who are in the book — Cher, Lauren Hutton, Jerry Hall, Zandra Rhodes, Fran Liebowitz — are still influential forty years later. Andrea Quinn Robinson, who is profiled, became the beauty editor of Vogue, then ran Clinique and started up Tom Ford, etc. etc. and just wrote a great book about makeup after 50 called "Toss the Gloss". 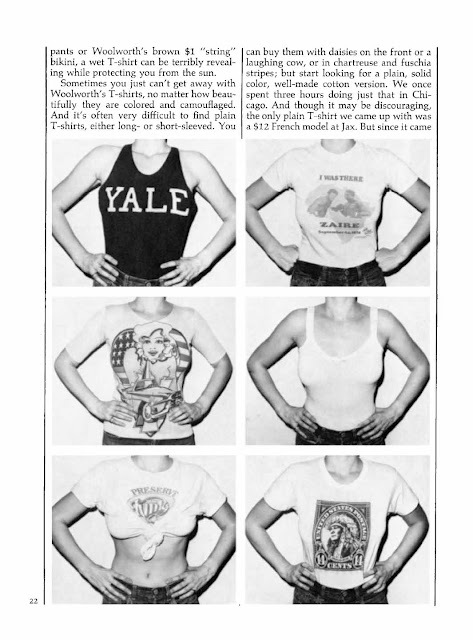 Cheap Chic is for designers, design students, fashion collectors, and style seekers with wit — who perhaps have always worn boy’s shirts with free monograms on the pocket. Astonishingly relevant forty years later, Cheap Chic provides quick advice for a wardrobe strategy: what to buy, where to buy it, and how to put it all together to make a distinctive fashion statement. 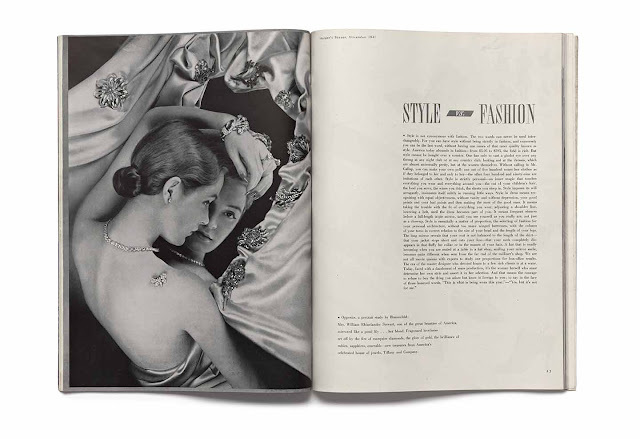 It is the original fashion bible that proves you don’t have to be wealthy or even well-heeled to be stylish. Cheap Chic also includes interviews with fashion icons like Diana Vreeland and Yves Saint Laurent, along with inspiring vintage photos of stylish celebrities from Greta Garbo to James Dean to Cher. 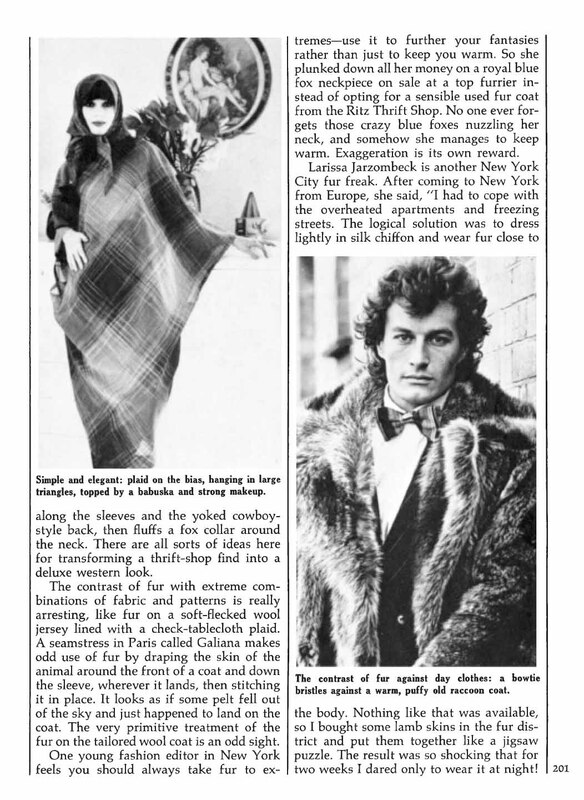 There are features on thrifting and layering, and readers will even learn how to make a bikini or tie a headscarf. Anthropologie wanted to publish it, but with a totally new cover and introduction...we passed. In October or September 2013 Popeye, a chic Japanese men's magazine, with big, beautiful pages, did an entire Cheap Chic issue, 200+ pages, following each of our chapter ideas, and photographing designers in Japan, France, London and NY with their old copies of the book, models in Saint Laurent, Hermes, etc. 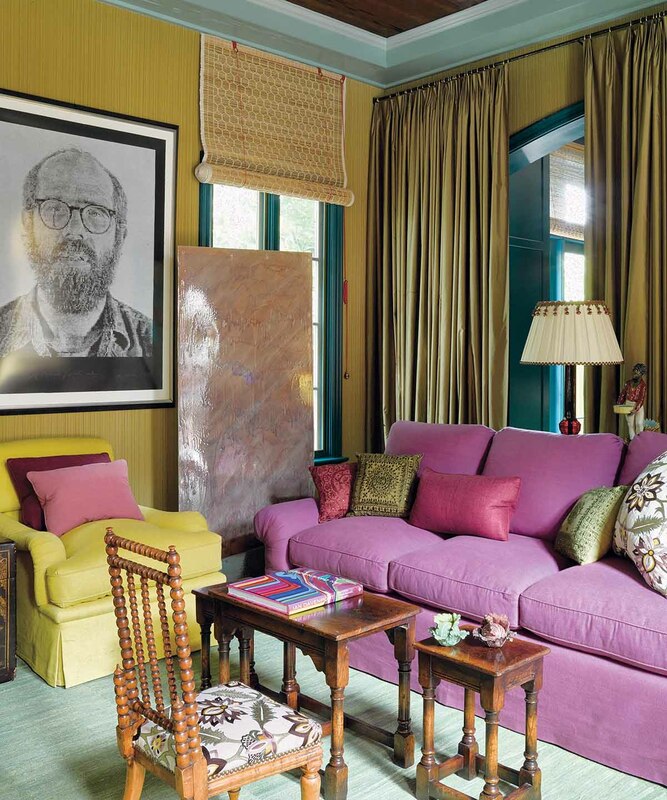 I’ve admired Suzanne Rheinstein, the great Los Angeles designer and owner of Hollyhock design gallery, for many years. Her work is refined, timeless in the best way, and always fresh. She loves antiques but they never look stuffy or outmoded in her rooms. She is the best hostess, encouraging her guests, after dinner, to sing Cole Porter and Gershwin around the piano. 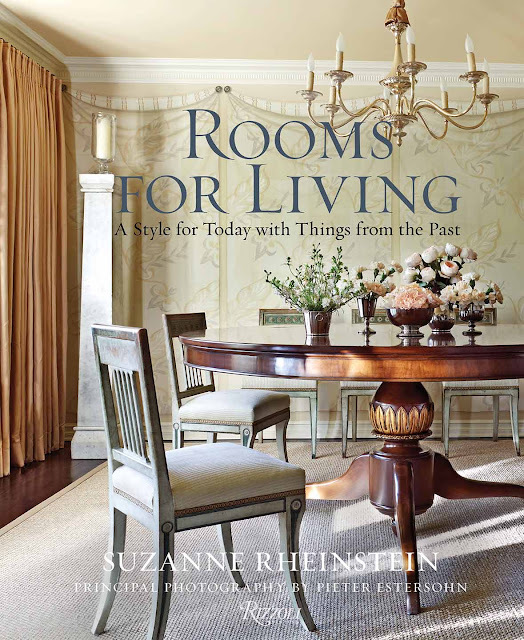 ‘Rooms for Living, A Style for Today with Things from the Past’ by Suzanne Rheinstein, with photography by Pieter Estersohn (Rizzoli) takes readers through a series of rooms, and describes how she designed them, what inspired her, and how to recreate the concepts. Information is included on entrance halls, living rooms, dining rooms, retreats, powder rooms, bedrooms, outdoor rooms and country houses. 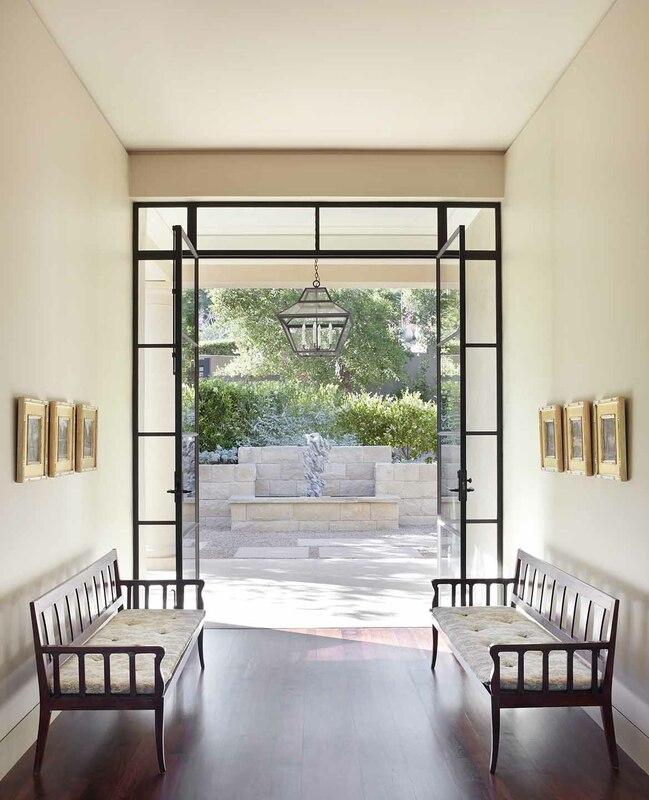 Editor Sandy Gilbert got the best out of Rheinstein's’ prolific knowledge, insight and ideas. It’s a book to peruse, mark, ponder, read carefully, and study. 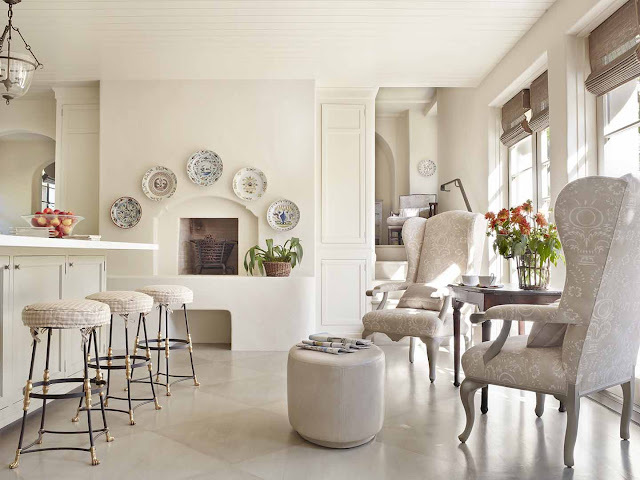 In particular, I admire her color palette—which never strays far from the palest taupe and greige, ivory and celadon. Subtlety is her strong suit. I applaud her restraint. 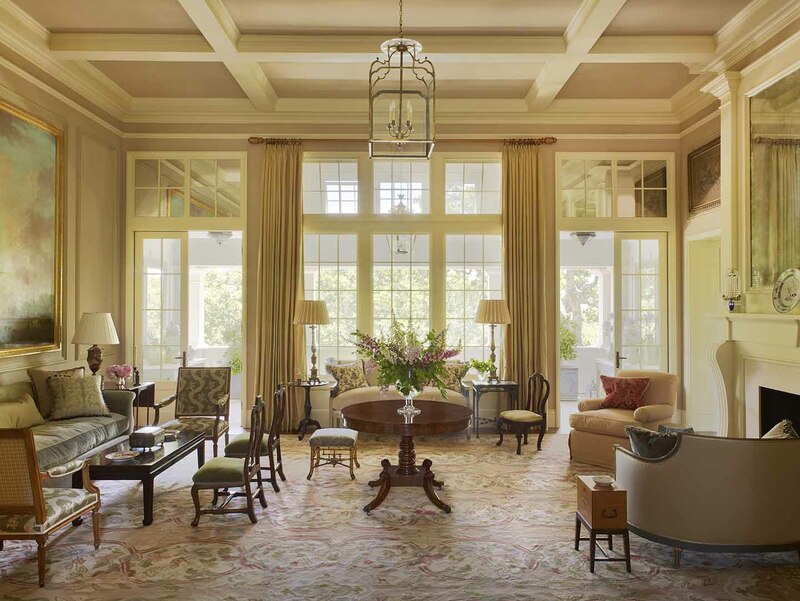 Jeffrey Bilhuber has enjoyed an astonishingly successful career as an interior designer in New York for over thirty years. He’s written four highly successful design books for Rizzoli (which is also my publisher). 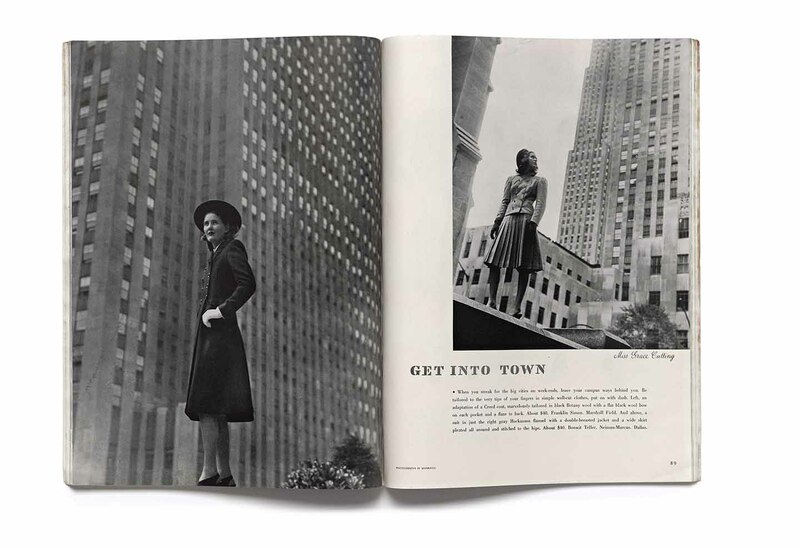 Jeffrey Bilhuber worked closely with writer/creative director Sara Ruffin Costello and photographer William Abramowicz on Jeffrey Bilbuber American Master (Rizzoli). Doug Turshen was the art director. 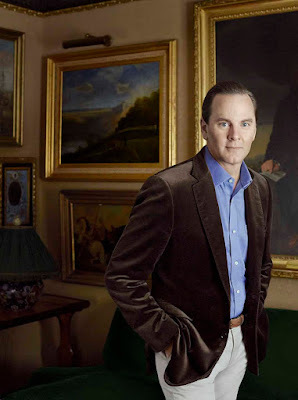 The subtitle is ‘Notes on Style and Substance’ and Jeffrey’s ideas, tips, notions, opinions, and knowledge are the solid core of his book. I love his comments such as, ‘It’s easy to get white wrong—and it takes talent to get white right’, and ‘Modernity is not about a new material, it’s about how you navigate your way through the world’ and ‘If you take care of something it will take care of you’ and ‘architecture is the structure of beauty’. 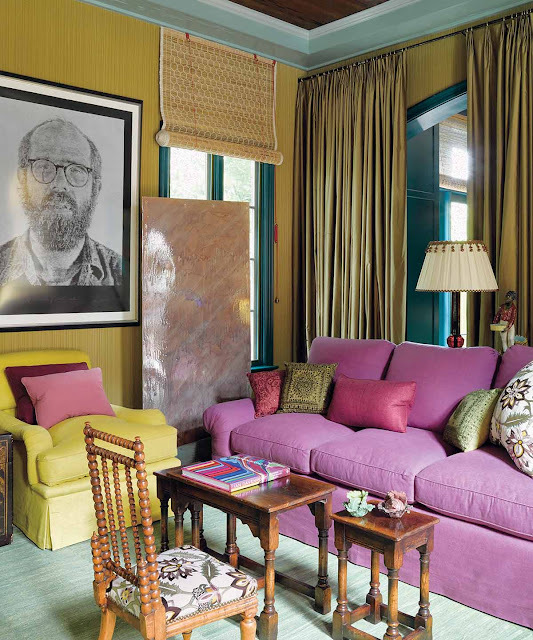 Jeffrey loves color. It’s vivid throughout the book. 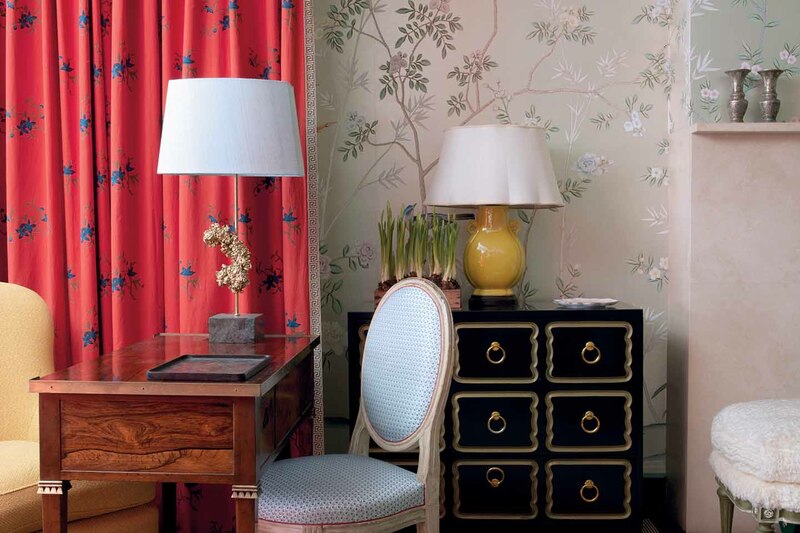 He loves pattern, he adores chintz and he makes a very strong case for vibrant wallpaper. ‘What’s liberating is to be fearless’ he notes. There’s lots of inspiration here. To acquire these books: I love Amazon. I can buy books at midnight. Amazon sells lots of my books and I’m happy about that. And whenever I pass a bookshop, I buy bags full of books. I would be so thrilled if you (like me) would buy your books from local bookshops, from independent booksellers, and from the myriad style shops, design stores and gift shops and specialty stores that offer them. Amazon is fast and easy. But please ramble into your neighborhood bookshop. I love Browser Books on Fillmore Street in San Francisco, a longtime fixture, who are friends, and I like San Francisco's Books Inc, offering reliable counsel. In New York, there’s the fabulous new Rizzoli store, and on Madison Avenue, there are several. I love John Sandoe in London, and there’s Bahrisons in Delhi, and Galignani in Paris (they sells lots of my books) and every city has a special privately owned bookstore. Please pay them a visit. It would make be so delighted. All copyright images published here are used with the express permission of the publishers. Love your book lists. I still have my original copy of Cheap Chic. I always look forward to your book recommendations, with thanks. Mr. Bilhuber's book will top my wish list this year. What a colour Mix Master! 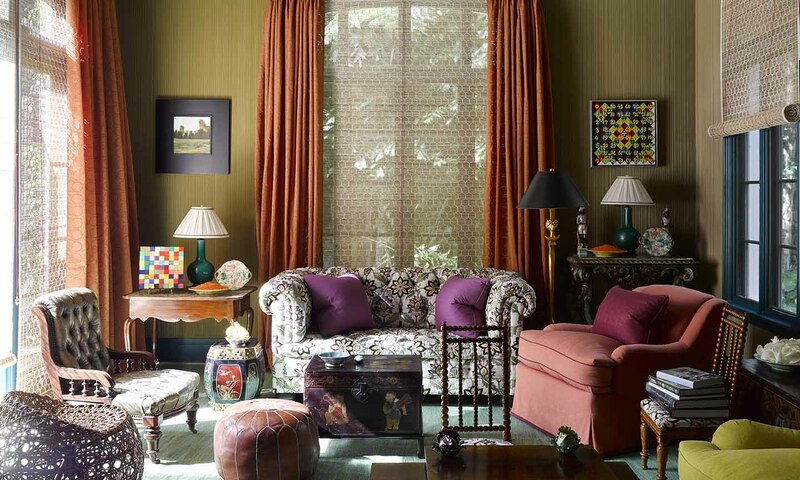 The second last image in your post is a demonstration of his consummate skill assembling rich colour and texture. There are lessons to be learned studying this room and figuring out how it works as some of the colour choices wouldn't have been, at first blush, that obvious. It's traditional yet very fresh. Thank you for brightening the start to my morning! I await with anticipation your book lists for each year. A person could assemble an outstanding library by using your guide, both from this year's list and by looking up your previous selections. My own library is enriched by your recommendations, with books I treasure for reference and pleasure. I also purchase these from my favorite bookstores. This year based on this post I am purchasing the Vreeland book -the Bazaar years. Excellent point on the graphic design -graphic designers today should really take note on these layouts. I am looking forward to reading, and also to part III of your book recommendations. I love to hear from you about the books. I work on this list for months--and always look for the standouts, the originals, the special…and those that exceed my expectation. 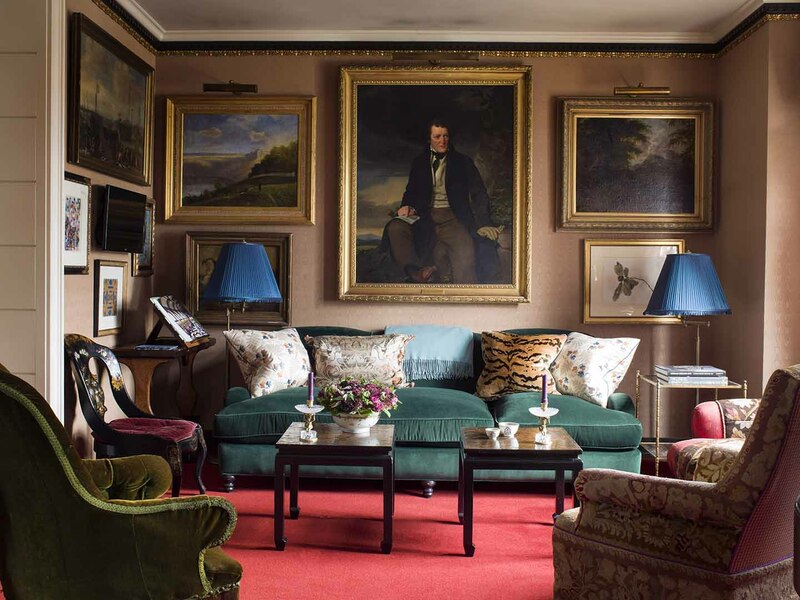 The most exciting new book was last week's MANOLO BLAHNIK book, which is so original and so person and so superbly produced. It is an instant important inspirational book…so fresh and frisky and new. This week it is CHEAP CHIC…a surprisingly influential book for designers and even Hermes. 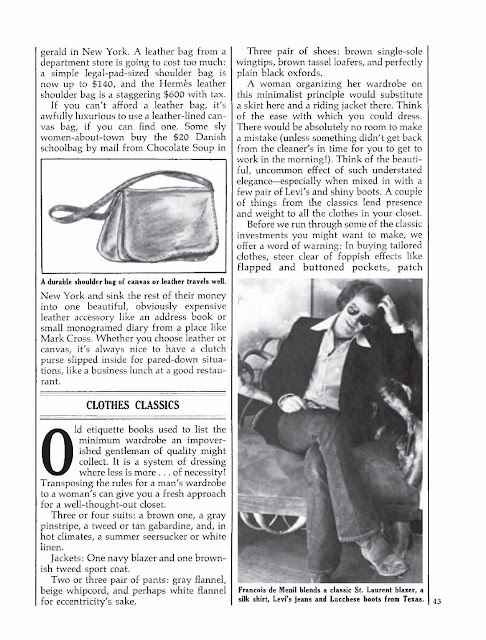 It's also a retro trip…into another world, fashion of the seventies, with ideas that still resonate. 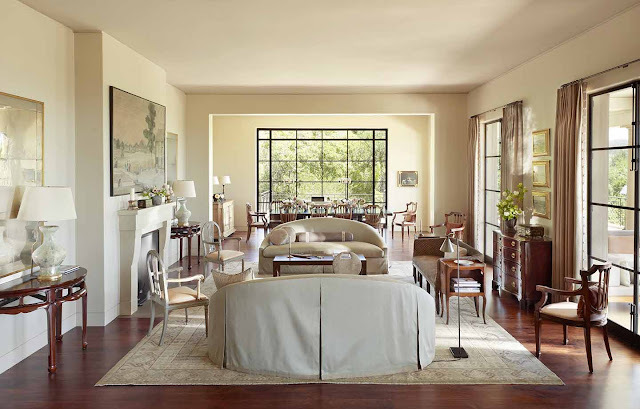 The Vreeland is for devotees…the layouts are to read and ponder. COMING UP: next week more new books…all very special and very different. stay tuned and let me know what you think.